A BETTER WAY BANKRUPTCY Detroit’s Premier Bankruptcy Firm Now Open 7 Days A Week to Serve You Better. Yes, the bankruptcy law has changed.No, it isn’t as bad as you think.Our experienced Detroit Bankruptcy lawyers can make this process easier, stress-free and affordable. Please come visit us in one of our homey, stress-free offices, enjoy some coffee and cookies, and get all your questions answered in your free bankruptcy consultation. We strive to make the process as easy as possible for our clients. Let us help! Or Call For a FREE CONSULTATION: 1-844-ERASE-BILLS (844-372-7324)Call NOW !!!!!! Going Through Bankruptcy is Emotionally Draining. Working with a Detroit Bankruptcy Lawyer Shouldn’t Be. With conveniently located offices in Royal Oak (just off Woodward) and Sterling Heights (by Lakeside Mall), A Better Way Bankruptcy is a Michigan debt relief agency serving individuals and families throughout the Southfield, Detroit, Michigan area and suburbs. For many people facing financial problems, unpaid bills, and harassment from collection agencies, declaring bankruptcy is the best option. With over 40 years of experience in bankruptcy law, our Michigan bankruptcy attorneys and professionals can help you get the creditors off your back so you can get a fresh start. Bankruptcy can be a hard pill to swallow, especially if you consider yourself to be responsible.YOU ARE NOT ALONE! Our bankruptcy attorneys have helped thousands of Michigan residents, just like you, find a better life and peace of mind through Chapter 7, Chapter 11 or Chapter 13 bankruptcy. Our Detroit bankruptcy attorneys will help you keep your home, car and other possessions while eliminating the stress of dealing with harassing creditor calls and continuous money juggling trying to make ends meet with too little money and too much month! No matter the scope and complexity of your problem, we can help you resolve your debts and financial obligations.Our experienced Detroit bankruptcy attorneys and professionals are friendly, helpful, and compassionate. We are an affordable Sterling Heights Chapter 13 Bankruptcy Lawyer. We do more than help to provide affordable debt relief – we help you find a better life. We are an affordable Detroit Bankruptcy lawyer. Helps you to find a better way to LIVE. We will help you to file Chapter 7 bankruptcy and Chapter 13 bankruptcy to get a NEW Start. Lyle has been specializing in bankruptcy law for over 26 years. He is a University of Michigan graduate (Go Blue!) with a double major in history and psychology. He received his law degree from the Detroit College of Law and was admitted to the Michigan Bar in 1986. Lyle believes that it is important to be treated as an individual. He is aware of the confusion many people have of the bankruptcy law change, and will devote as much time with clients as necessary so they are aware how those changes affect their cases. Lyle knows that he can help you find A BETTER WAY! 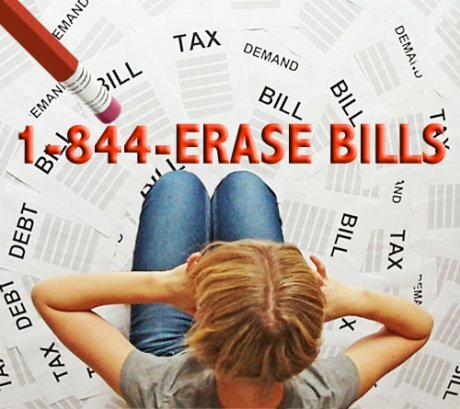 Call 1-844-ERASE-BILLS ( 844-372-7324 ) today!